This has to be one of my favourite childhood book series, apart from Harry Potter. And the first few books in the series are really only a couple of hundred pages, so they’re quick to read and wonderful to reminisce with when you’re an adult and you’re re-reading them. 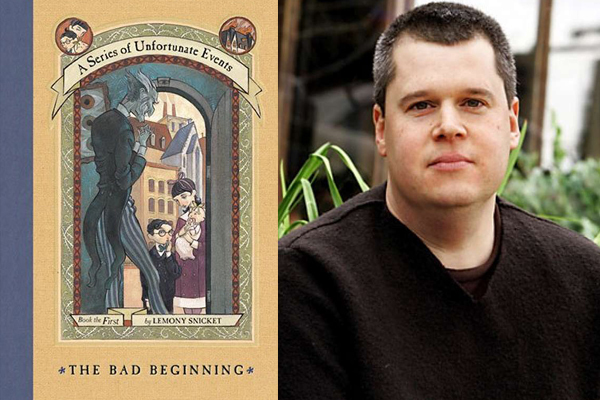 Lemony Snicket created a brand with the Unfortunate Events books. The hardcover books and cover designs are intriguing and unique, and the frayed edges of the pages would draw in children in a bookstore or a library. The Bad Beginning introduces a fantastic villain – Count Olaf. He’s vile and mean and Lemony Snicket includes such a great description of him that you can really envision him. And the three Baudelaire siblings are wonderful protagonists. Each of them are different, both in their personality and in their interests/talents.The Baudelaire children are forced to live with Count Olaf after their parents die, and he spends the entir novel concocting a plan to steal their fortune. Although I loved this technique and found it engaging, at times it was a bit much, and I think Lemony Snicket overused it. He could’ve dialled it back a little to fasten the pace of the story. I recommend this book not only to children but also to adults who want a quick, easy read – something that doesn’t require any thinking on their part. I also recommend this book to adults who want to read something to their child.